I have kept a version of one of these teas (or a combination of them) on my stove top since mid-November. They are a ready source of hydration and they are associated with fighting flu and cold symptoms, symptoms that have simmered here along with the tea. Relying on them like I do, I even bought a dedicated thermos so that I could lug them on the road and certainly didn’t want my tea to taste like the coffee residue that might reside in our main thermos. This has been a particularly difficult season. These teas are great because you can mix-and-match them based on what you have in your kitchen and based on your symptoms. They will all support your immune system in general and, as a result, are great for winter time hydration but they all have their specific qualities as well. Ginger is at the base of nearly every tea I make. I keep fresh ginger in the refrigerator so that a great tea is always thirty minutes (or less) away. Simply slice it thin, add it to a saucepan of water, bring to a boil, and cover for 30 minutes (or for hours for a stronger infusion). Ginger is great with turmeric, taming the slightly bitter undertones of the turmeric. In the Handbook of Medicinal Herbs, author James A. Duke cites ginger as a potential remedy for cold, congestion, cough, flu, head cold, headache, earache, fever, and sore throat. He lists the following warnings for ginger: it may raise blood pressure and increase blood-thinning drug activities; it may be contraindicated in pregnancy, in childhood fevers, and in gallstone cases. If these apply to you, learn more about the implications of ginger before using it. Turmeric has many applications beyond the cold and flu season but it does help remedy cold, congestion, headache, and sore throat according to Duke. It is contraindicated in people with bile duct obstruction, gallstones, hyperacidity, and stomach ulcers. Younger women should know that there is some link between turmeric and infertility. Whether you should drink it with a water or milk base is really up to you. Some people claim that milk is mucous-forming and if it is for you, a water base will be a better bet. However, turmeric milk has been used for centuries in traditional Indian medicine and has worked well for many people. It seems to be a great choice for my sons in the dead of winter and the cream in the milk helps balance some of the underlying bitterness of the turmeric. 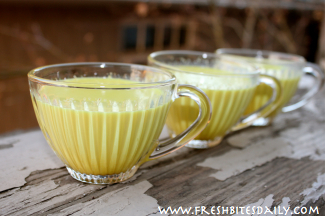 Find specific instructions on turmeric tea (here), golden milk/turmeric milk (here), and on our handy turmeric tea paste for tea or milk (here). Sage is a widely available herb and a great tool for wintertime health helping to remedy cold, cough, fatigue, fever, headache, hoarseness, sore throat. Duke warns that it not be used in high doses for prolonged periods (particularly in the case of the essential oil which you should not ingest anyway). Duke warns that it is contraindicated in pregnancy and may interfere with drugs or therapies that are anticonvulsant or hypoglycemic. 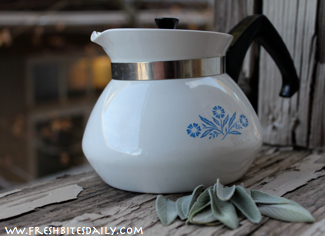 Find specific instructions on sage tea (here). Elderberry is a remedy for cold, cough, fever, headache, sore throat, and stomachache. Promising research suggests it can reduce the severity of flu symptoms if you take it at the onset of symptoms. (Read more here.) In terms of the safety, some elderberries are toxic when raw and we have not found enough information about which may or may not be nor are all of the dried berries sold online marked in any corresponding manner to note potential toxicity. We assume all elderberries should be cooked and we make a tea from a cooked syrup as we describe here. 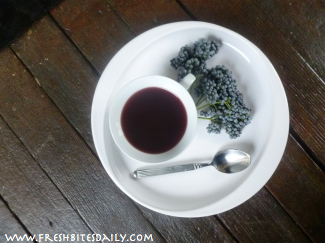 Find specific instructions on elderberry tea (here). 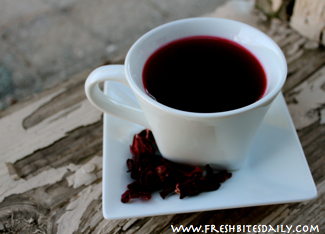 The fruity, tangy tea of hibiscus fights cold, cough, and fever. There are no known risks and it does provide a great complementary flavor to ginger, turmeric, and sage, providing great options for mixing flavors. Find specific instructions on hibiscus tea (here).